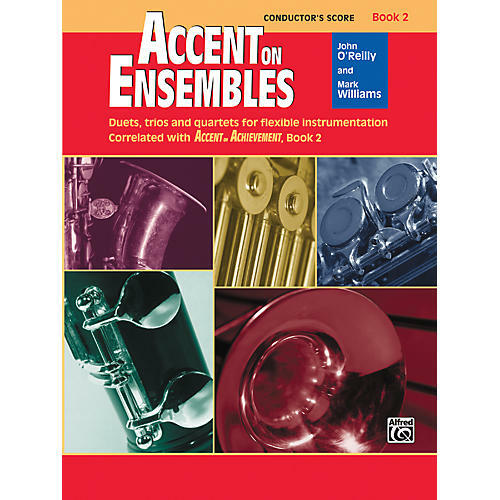 Accent on Ensembles is an exciting book of duets, trios and quartets for flexible instrumentation that correlates with Accent on Achievement, Book 1. Use these ensembles to develop confidence in young players and as a valuable resource for music during contest season. Since the instrumentation is flexible, any combination of instruments can play together. Accent on Ensembles, Book 2 is an exciting book of duets, trios and quartets for flexible instrumentation that correlates with Accent on Achievement, Book 2.